Looks OK: For questions that are well laid-out, and can be answered as-is. 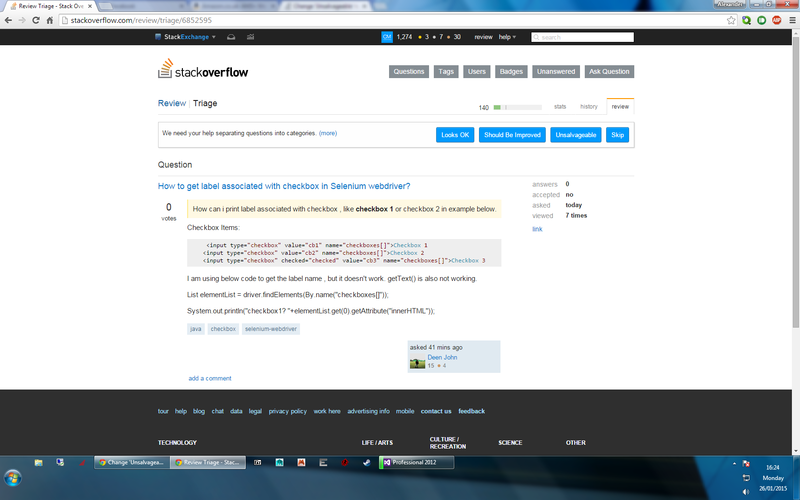 Should be improved: For questions that have small content layout, spelling, or grammar issues. An edit to the question will result in the question being clear. Unsalvageable: For questions that cannot be answered, or should not be answered and need to be removed. In my opinion the 'Unsalvageable' category name doesn't properly suit the action (flagging). Bob posts a question about an invalid reading of an integer in C++. The question is formatted perfectly and has no issues but is a duplicate of another question. 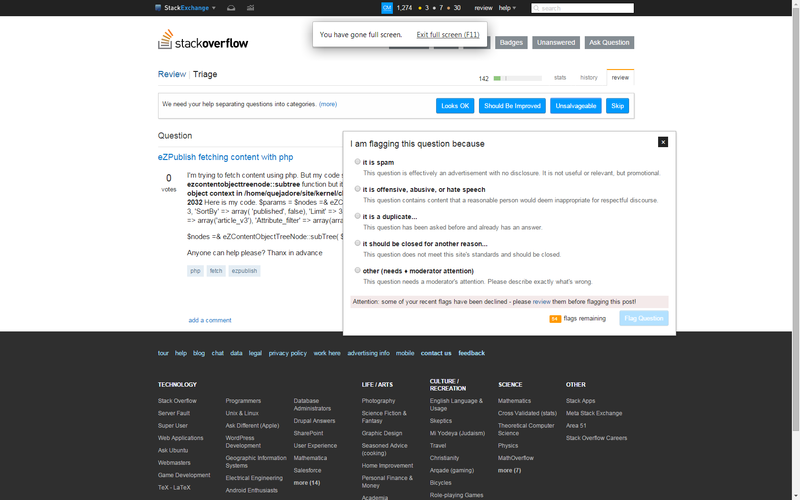 Bob's question appears in the Triage review queue but as the question is a duplicate, reviewers mark the question as Unsalvageable and flag it as a duplicate. In this case marking the question as Unsalvageable in order to flag it (without going to the actual question) sounds wrong but is in fact the correct path. ..or perhaps another word, just not Unsalvageable. That replaces a statement on the quality of the question with a specific action for responding to that quality. Which is a much harder decision to make. Not all unsalvageable questions need to be closed. Not all questions that are closed are unsalvageable. ...additionally, Duplicates aren't necessarily unsavageable, although Triage has proven itself very useful in quickly identifying them. The same thing applies for Deletion: plenty of salvageable questions get deleted and should be deleted, simply because no one cared to salvage them in a reasonable timeframe - that's not a decision to be made in triage, however. Not the answer you're looking for? 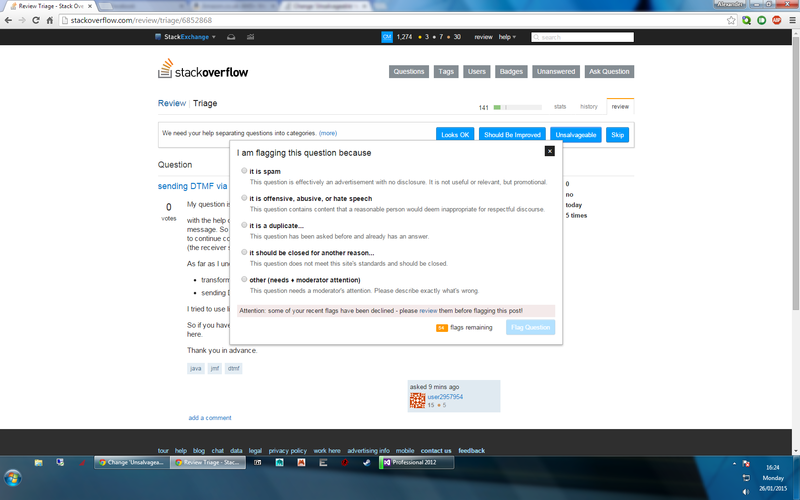 Browse other questions tagged feature-request status-declined review triage .